Create and Order Your Canvas! We carefully selected the best Canon Professional equipment for canvas printing. We use archival grade ink, specially formulated for fine art, ultra high quality prints and giclee canvas printing. Our Canon printing machines use the stunning Lucia Pigment Ink System with 12 colours, for an exceptional quality performance. Sounds great?….wait to see the prints….it's really crazy…. Whether the application is photographic portraiture or fine art reproduction, EPSON Canvas will satisfy even the most demanding professional by providing both the finest image quality as well as a vehicle for enhanced artistic creativity. 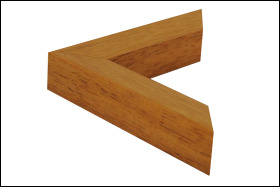 The frames we use are made of durable noble wood, carefully processed, very resistant to twisting. The profile is carefully designed for special use on framed canvases. 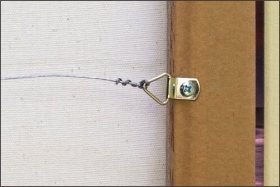 We can choose between thin (2cm) and thick (4cm) frame. All mounting hardware is in place for all Canvases we make. After shipping to your door, it's ready for hanging on the wall of your home or office. We use only high quality wires and bumpers for extra protection. 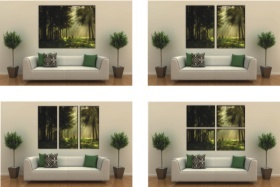 With DekoCanvas, your photo-to-canvas print could very well be as big as your imagination will allow! You can Even create a multi-panel design from a single image! The skilled technicians can work with virtually any image size or resolution. Using our innovative filters, you can choose to upload even an low-resolution image from Facebook or your phone. We’ll transform it into a stunning image on canvas. And don’t worry! You get a free digital proof emailed to you that previews what your finished work will look like on canvas—no surprises. Plus a DekoCanvas designer will contact you if there are any outstanding issues before we print. Otherwise just pay SGD 20 standard rate shipping. Your Canvas will be carefully packed and reinforced, just to avoid any hassle. If you are really in a hurry, just choose our Express Service for fastest full-service - printing, framing and delivery. Your photo will be adjusted by our very skilled colleagues and it will look just great on any canvas size. No extra-cost. Pick an effect risk free! If you don't love it after we send you a free digital proof, you won't have to pay for the effect. Effects can also be easily changed. You have many ways to interact live with one of DekoCanvas operators. Online chat, e-mail or telephone. Whatever is your most suitable for you! To avoid waiting time we suggest to use the first two methods as priority. Not satisfied with the picture ??? It is hard to believe ! That's why we take the print back within 5 days upon confirmation of receipt . No kidding! We are very proud of our work and we need you to be fully satisfied also. With GeoTrust guarantee, there can be no doubt that the transactions conducted on dekocanvas.com.sg are 100% secure and your details remain private. PayPal completes these guarantees. Never safer! Ready to turn your images and photos into quality canvas prints? Get FREE shipping anywhere in Singapore when you spend over SGD150. Otherwise pay just SGD20 flat rate shipping. If you're not 100% satisfied with your DekoCanvas we'll either reprint it for you or give you your money back. We are very proud of our work and we need you to be fully satisfied also. All personal info encrypted with Secure Socket Layer (SSL) protection. We never share your personal information with third parties. Risk free shopping- that's our promise to you. Subscribe to our newsletter and receive special discounts and prizes. *We never SPAM. Remove yourself at anytime. © 2013 DEKO CANVAS Pte Ltd Singapore. All rights reserved.